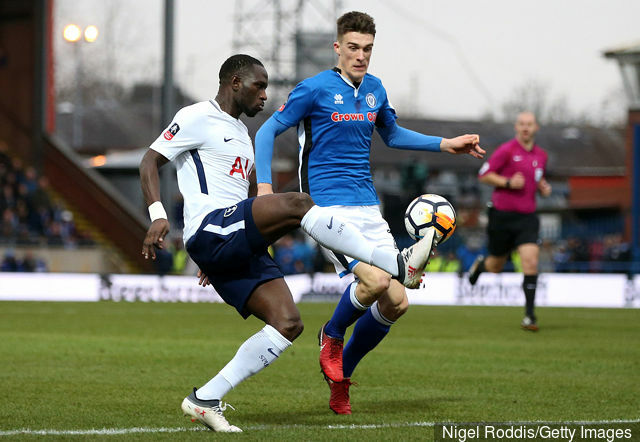 Ryan Delaney is on the way to Wembley after Steve Davies struck a stoppage-time equaliser to earn third-tier strugglers Rochdale a deserved 2-2 draw in a cracking FA Cup fifth round tie against Premier League side Tottenham on Sunday. Former Wexford Kennedy Cup player Ryan played a big part in the fairytale result and was outstanding in the Rochdale defence. Rochdale, bottom of League One, can now look forward to a money-spinning replay at Tottenham's temporary Wembley home.